This year marks the 22nd anniversary of Gyeonggi Urban Innovation Corporation, a government-funded city planning corporation committed to the development and restoration of Gyeonggi Province. 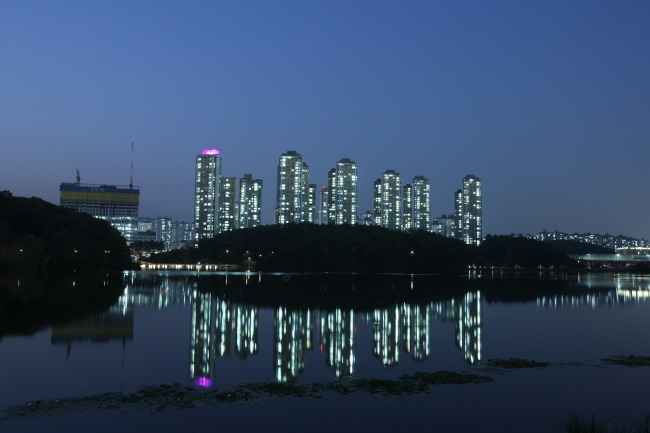 Korea’s most populous province, Gyeonggi Province is host to satellite cities of Seoul that may offer some relief to the South Korean capital’s housing crisis. Since launching in 1997, GICO has grown from 50 staff and gross capital of 124.4 billion won ($109 million) to a 485-employee company capitalized at 3.7 trillion won. 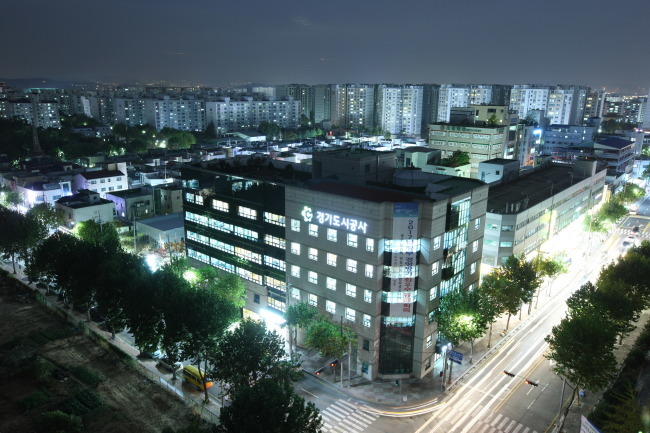 The GICO’s notable projects over the years include development of housing estates at Gwanggyo, Dongtan and Dasan, and industrial complexes in Paju, Pyeongtaek and Pangyo. With the introduction of International Organization for Standardization’s social responsibility guidance ISO 26000 and anti-bribery management system ISO 37001 last year, GICO is aiming to strengthen its corporate management ethics. “With the consultation of the Anti-corruption and Civil Rights Committee, GICO intends to further improve our corporate integrity and transparency,” the corporation’s standing auditor Lee Joo-hyung said in an interview with Gyeonggi Province’s local media in February. In 2016, the corporation cleared some 1.5 trillion won of debt, reducing its debt ratio to 193.5 percent from 280.1 percent in 2014. Its debt ratio now stands at 149 percent, far surpassing the government-set standard of 250 percent. In recognition of its business achievements and governance improvement efforts, GICO was ranked second place in the government’s 2018 management performance assessment of 15 state-owned urban development corporations. Last year, the corporation received the presidential commendation for housing welfare at the 14th housing welfare advancement awards administered by Ministry of Land, Infrastructure and Transport and the grand prize at the first housing welfare culture awards also organized by the Ministry. It also won the Ministry of Health and Welfare Minister’s commendation at charity organization Sharing Korea’s awards in October. Gwangyo and Dasan, located south and northwest of Seoul, respectively, are two examples of the corporation’s urban planning projects. Gwangyo New Town is a planned city in Suwon constructed with 9.4 trillion won in investment and now populated by some 80,000 people on 1,130 hectares of land. Renovations kicked off in 2007 after the development proposal was approved in December 2005, and its constructions are now in its final stages. Gyeonggi provincial government’s office and assembly will move into the town by 2020. Another planned city, Dasan is a 4.05 trillion-won project with estimated population of 83,000 in a 475-hectare site. Its first round of constructions was completed in 2017. 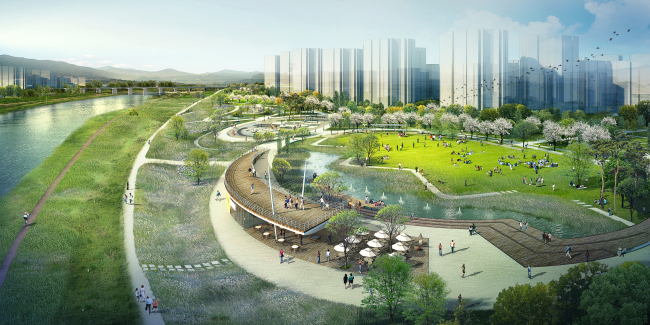 Dasan will be an environmentally friendly city, with nature reserves and public parks inspired by 18th-century scholar Jeong Yak-yong, from whose pen name -- Dasan -- the city gets its name. Both cities have good public transport connections, with convenient access to the metropolitan area. The subway line that started extension work in January will allow a half-hour commute to Gangnam, Seoul. Building on from its success with Gwanggyo and Dasan, Gyeonggi Province is planning to build more similar cities in the coming years. Hanam, Gwacheon, Wangsuk are the next locations earmarked for the city corporation’s urban planning. Hanam, in particular, is being highlighted as a solution to Gangnam’s highly saturated residential situation. The newly developed town of Hanam will have 32,000 added housing units. A subway line extension to the area and new roads and highways will enhance accessibility to Seoul. Similar to the industrial complex of Pangyo but larger, it will house specialized industrial complexes in felds including medicine, health and R&D. Gwacheon, which sits directly south of Seoul, will be a large-scale residential district of 7,100 housing units with a relatively low population density of 107 persons per hectare. Built around the stream of Yangjae-cheon, which cuts across Seoul’s southeastern districts of Seocho-gu and Gangnam-gu, Gwancheon will have a bit of wilderness at its core. And 20 percent of its project funding, or 700 billion won, will be used to improve the commute to and from the metropolitan area. The city will have more roads built in, especially highways that connect to Seoul, and transit transfer centers. Gwacheon will host research centers, startups and other new technology industrial complexes such as information and communications technology, artificial intelligence, medical and biological engineering. The corporation projects the development will create around 3,300 new jobs. The largest of the latest generation of planned cities is Wangsuk in Namyangju, northwest of Seoul. Wangsuk is expected to host some 66,000 housing units. It will also be a two-part city composed of a financial district and an arts and culture district. Designed to be a self-sufficient city, Wangsuk’s financial district will be home to startups and up-and-coming industries that will result in a constant influx of in-city jobs. 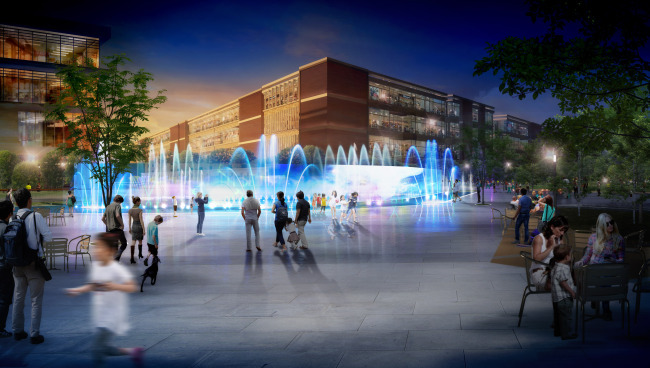 The arts and culture district is designed attract newcomers and younger generations into town. New train stations and bus transits will be set up that will allow faster commutes to central Seoul, with links to Seoul Station and Cheongnyangni. To enhance traffic control, roads with frequent congestions will have more lanes added. On its 22nd anniversary, GICO has vowed to continue to pursue its goals of housing welfare and regional development in the province. By 2022, the corporation plans to supply 51,000 housing units and improved infrastructure and services at Ministry of Land, Infrastructure and Transport’s community housing leasing program. Representatives at GICO said the corporation fully supports Gov. Lee Jae-myung’s push for job creation within Gyeonggi Province with more industrial complex development set to take place in Siheung, Ilsan, Pangyo, Pyeongtaek, Yeoncehon and Anseong.